Obama mainly uses conversational hypnosis techniques. Conversational hypnosis is a set of techniques that seem to be normal in the speech, but have hidden hypnosis effect to others. It means that you put others into a hypnotic state without them knowing. In this way, you can easily make your commands to their subconscious minds. Obama’s speech contains hypnosis techniques like hypnotic anchoring, pacing and leading, critical factor bypass and so on. But I don’t find iy wrong with the use of hypnosis in politics. Instead I think, United States can gain a lot with Obama hypnosis. Here is how. 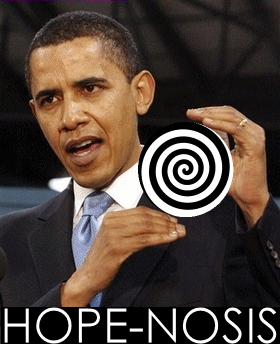 . .
Obama is a great hypnotic speaker and uses conversational hypnosis techniques successfully. It is a good example of being great and successful speaker. There is nothing wrong with this. 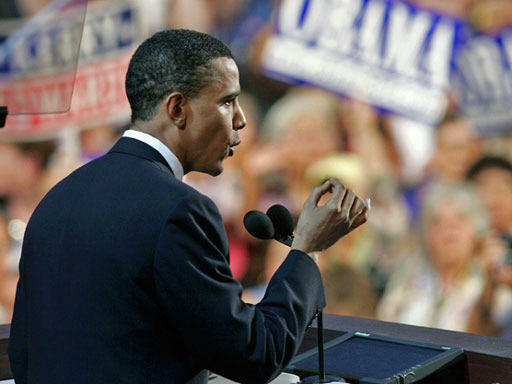 Famous orators have always used hypnosis and NLP techniques to convince their audience. In my opinion if you don’t have hypnotic speech, then you are not a great speaker. Finally. Isn’t it fine for Americans that US president has great hypnotic language? He can gain great advantages for America’s international interests with his conversational hypnosis. For example, while meeting Russian President. “Obama phenomenon” sweeping our nation, but the evidence is undeniable. which appear innocent to uncritical observation. techniques, because of course now is the time, and if he is there speaking, of course he is standing before us. allow implantation of subconscious messages. part of his powerful speech. teachers, nurses and janitors -- found the courage to keep it alive. sounds to everyone like just his power-phrase or theme for the speech. long-term solution. Not even close. because it will take nothing less to compete in the global economy. bonuses; and the time to protect Social Security for future generations. daughters to have exactly the same opportunities as your sons. .........THIS TECHNIQUE WAS USED BY HITLER BEFORE.. Pretty! Thiis was aan incredibly wonderful post.